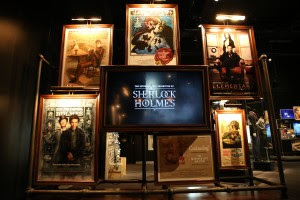 On Friday, July 31st at 5:00pm, Discovery Cube Orange County will host Sherlock Family Night at the Cube offering exclusive access to the museum through 7:30pm, including its newly expanded campus and the world-class traveling exhibit The International Exhibit of Sherlock Holmes. Plus, families will enjoy an outdoor showing of The Great Mouse Detective under the stars beginning around 7:45pm. Don’t forget to bring lawn chairs and blankets! The cost for Sherlock Family Night at the Cube is a special price of $5 for members and $15 for non-members. To learn more, visit www.discoverycube.org/oc/sherlockfamilynight.